Most players and parents are aware of the term “Little Leaguer’s Elbow,” but may not fully understand what it truly is. Little Leaguer’s Elbow was first coined in 1960 to describe an injury caused by the repetitive throwing motions in children. Technically, it’s an inflammation of the growth plate in the part of the bone called the medial epicondyle. The medial epicondyle is the palpable bump or knob on the inside of our elbow. Little Leaguer’s Shoulder is an inflammation of the growth plate of the shoulder called the proximal humeral physis which is in the bone called the humerus. Inflammation causes a widening of the growth plate which causes the pain players feel while throwing. 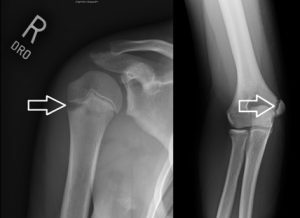 In most cases, only an x-ray is needed to diagnosis Little Leaguer’s Elbow or Shoulder. While commonly seen in pitchers, Little Leaguer’s Elbow and Shoulder can occur in any young baseball player. Typically, the players who suffer from these injuries are between 12-16 years old and are still growing. The inflammation is caused by the repetitive stress of overhead throwing. Improper throwing mechanics, muscle imbalances, and fatigue also play a role in the development of growth plate injuries. In the elbow, the pitching motion creates a pulling stress to the inside part of the elbow and is primarily resisted by the ulnar collateral ligament (UCL). The UCL is like a rope or shoelace that is firmly attached to bone and in a growing child, the exact attachment location includes a growth plate called the medial apophysis. This is also the location where the forearm muscles attach, which can add additional stress to the growth plate. In children, the growth plate and UCL are weaker than in an adult. The growth plate is the weak link in the chain in kids and can be injured with inflammation or can sustain a fracture. In some instances of Little Leaguer’s Elbow where players continue to play through the pain, the growth plate can become so damaged that the athlete may need surgery. Surgery entails a screw being inserted into the elbow to correct the injury. 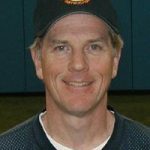 For players who are no longer growing, the more common injury is to the UCL, an injury that often requires Tommy John Surgery in order for the athlete to resume high-level competitive throwing. Our recommended treatment for Little Leaguer’s Elbow or Shoulder is complete rest from baseball activities – including hitting – for a minimum of 6 weeks. We also prescribe physical therapy for the player to work on leg and core exercises in addition to their upper body regimen to enhance their kinetic chain that is developed while throwing. After the 6 weeks of rest, we repeat a clinical examination. If the player is pain free, we implement a gradual throwing program. The throwing program is designed to make sure the player builds back up their throwing strength before returning to full, unrestricted competition. 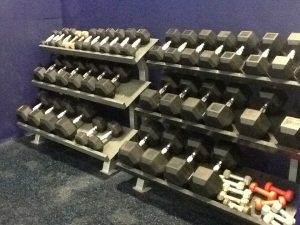 Players typically return to full competition in around 3 months. Regardless if a player is suffering from Little Leaguer’s Elbow or Little Leaguer’s Shoulder, they can still run and play other sports that do not involve overhead throwing while they’re shut down from baseball activities. Should a player not adhere to the prescribed rest, this injury can be cumulative – meaning if the player rushes back too soon then they’ll have to sit out for 12 weeks the second time they become injured, 24 weeks the third time and so on. Players can avoid these injuries by making sure they get enough rest. When we say rest, we mean taking time off between pitching outings, and for position players, enough rest between games. These types of injuries are overuse in nature so making sure a player gets adequate rest is important. We also suggest players rest during the off-season as well. 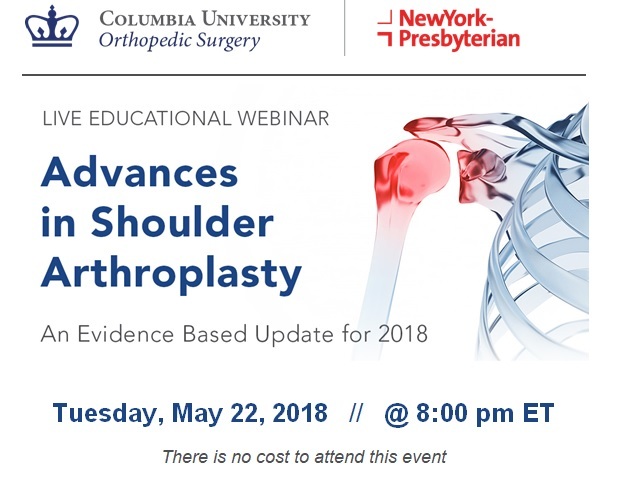 Studies have shown that players who do not rest for 3 months have a 3600% chance of injuring their throwing shoulder or elbow where surgery is recommended. 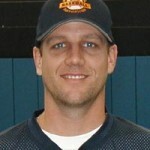 Another good tip for injury prevention is to not play on multiple teams in a single season. Playing on multiple teams can lead to overuse, and lack of communication between coaches may put a player in a position where they may feel obligated to play through pain. Keeping a log or journal of how many innings and pitches the player has thrown is a good way to keep track of how a player is being used. 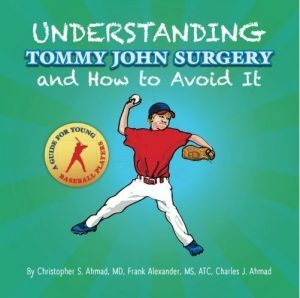 For more information on elbow injuries and tips on how to stay healthy, you can read our recently released book Understanding Tommy John Surgery and How to Avoid It available on Amazon! Dr. Christopher Ahmad is a founding member of the Baseball Health Network and is the head team physician for the New York Yankees. Previously, we’ve discussed anterior cruciate ligament (ACL) reconstruction surgery and the importance of prehab after sustaining an injury to your ACL. No athlete wants to injure their ACL but there is good news for athletes who may have injured their ligament. There have been advancements in ACL surgery that Dr. Ahmad and Team Ahmad are at the forefront of that can help get athletes back to playing sooner! It was first reported in 1903 by Mayo Robson that the ACL could be surgically repaired and patients could remain hopeful that they’d have a good outcome. Over a century later, surgeons are able to perform 3 different types of surgery to help a patient with an injured ACL: primary repair, repair with augmentation, and reconstruction. Typically, after a reconstruction, athletes return to sport-specific activity around 6 months post-operatively with full participation on the horizon. Complete, unrestricted return to play may take up to a year. After a repair, return-to-play is nearly half that of a reconstruction! The ACL is the main stabilizing ligament of the knee. When it tears, the knee may feel unstable or loose. The athlete or patient may not be able to fully bear weight on the injured knee. If they try to participate in athletic events, further injury may occur such as cartilage damage or meniscus tearing. The way the ACL tears plays a role in surgical intervention. Think of the ACL as a rope attached to two bones. If the rope tears through the middle completely, it creates two free ends that are like the ends of a mop. This type of tear will not lend itself to a repair and requires a reconstruction for the ACL to work again. Should the rope tear off the bone rather than in the middle, a repair is possible. If the ACL is able to be repaired, physical therapy is able to progress much quicker when compared to a traditional reconstruction. Patients that have a repair could return to sport specific activity potentially as early as 4 months after surgery! ACL repairs are an innovative surgery and can only be used in certain situations as previously described. Our Team is working on new research to help healthcare professionals have a better understanding of ACL repairs and returning athletes to play! You can learn more about ACL repairs and traditional reconstructions by going to Dr. Ahmad’s website. A soccer player makes a great run, has one defender to beat – plants their foot, twists the knee, and feels a pop. The player immediately goes to the ground clutching their knee in pain. A lacrosse defenseman checks the ball out of an offensive players stick, goes for the ground ball – tries to avoid an opponent – plants their foot, twists, and feels a pop. Similarly to the soccer player, they immediately grab their knee wondering what happened. The athletic training staff rushes to the player, assesses the injured knee, and the player doesn’t return to competition. In the doctor’s office, the knee has great laxity and a tear of the anterior cruciate ligament (ACL) is confirmed. Unfortunately, the only way the ACL will heal is with surgery. It will not heal on its own. There is significant swelling and a decrease in range of motion (ROM). Before a surgery day can be set, the swelling needs to be decreased, range of motion must be improved, and while strength will not be 100% pre-surgery – it needs to be improved as well. To achieve these goals, prehab is recommended. Prehab is pre-surgery rehab specifically designed by an athletic trainer or physical therapist targeting ROM, quadriceps strength, and swelling. There are three main goals of prehab: decrease swelling, increase range of motion, and increase strength. After an injury, the body has a natural reaction to protect itself and a consequence is swelling. Swelling in the knee will restrict range of motion and needs to be decreased. If swelling is not diminished before surgery, the outcome will not be favorable for the patient. By doing prehab exercises, icing, and taking anti-inflammatory medications, swelling can be decreased. 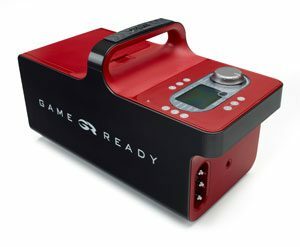 Many athletes have heard of the GameReady unit. This unit combines both ice and compression through a sleeve that surrounds the knee. Another unit similar to the GameReady is the CryoCuff which operates in a similar manner. These units are highly recommended in both the prehab and rehab phases. They can be discussed with our staff in the office. The knee is a joint that, when healthy, has 0 to 130 degrees of motion, or more. When the knee is fully extended, we say it is at 0 degrees. In a healthy knee, it can flex (bend) to 130 degrees or beyond. Not everyone is the same and range of motion varies from person to person. However, it is said that the knee can be functional at 125 degrees of flexion and that is the goal before surgery. Exercises such as wall-slides and assisted flexion are parts of a good home prehab exercise program. While flexion is important, extension should be emphasized. Extension should be emphasized because if it is lost, extension is difficult to get back. Physical therapists will be able to flex the knee post-operatively, but extension has to be a focus of the therapist and patient as well. Ways to prevent a loss of extension is by performing exercises such as quad sets and straight leg raises. Another good way to aid extension is, while watching TV, icing, or hanging out, prop a few pillows under the ankle and keep the toes towards the ceiling. This will allow gravity to gently pull the knee into extension. In addition to decreasing swelling and regaining range of motion, quad strength is another key component of prehab. Quad strength will help avoid atrophy – which is a decrease in muscle mass. Exercises such as quad sets and straight leg raises will help with quad strength and control. 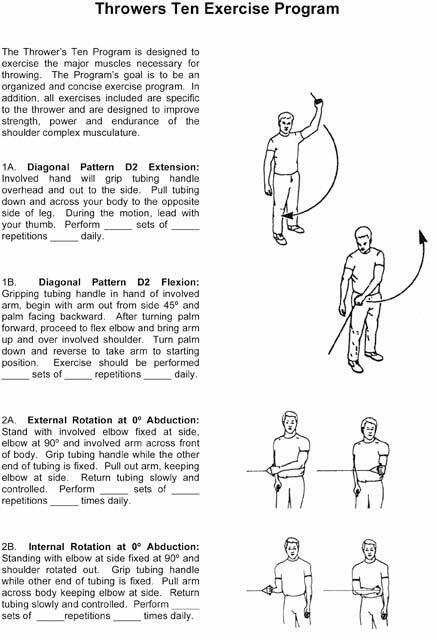 These two exercises are not only a large part of prehab, but also of the immediate rehab phase. Once improvements are made, the patient is ready for surgery. The prehab process varies for each patient with the ideal time from injury to surgery being 2 weeks. Timelines are not set in stone so while some patients are in the average, some may be quicker and others may be longer. Another factor is severity of injury. 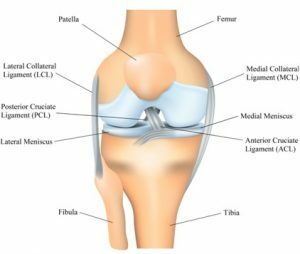 Many ACL tears happen in addition to other injuries within the knee such as medial collateral ligament (MCL) tears and meniscus tears. These other injuries need to be taken into account for timing of surgery as well. The more effort put into prehab, the quicker surgery can be scheduled. For many athletes, timing is of the essence and getting ready for the upcoming season will take a lot of work. The hard work doesn’t stop on the day of surgery, athletes will need to keep their work ethic for the months following surgery to ensure staying healthy once they return to the athletic fields. When an ACL tear is diagnosed, Dr. Ahmad’s office will provide each patient with home exercises that should be done in addition to any prehab. In some cases, prehab may not be necessary but this is not always the case. We suggest that each patient does not compare their injury to another’s. Everyone heals differently but if maximum effort is given throughout the process, a return to the field is well within sight. 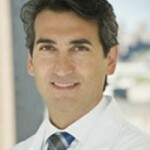 To learn more on ACL injuries how they can be prevented visit Dr. Ahmad’s website. Or, feel free to reach out to us here at the Baseball Health Network.